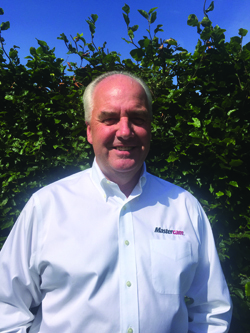 CNC Software, Inc., the developers of Mastercam, announced that Mike Nicholson has been hired as the European Territory Manager to further develop the company’s European distribution channel. Nicholson replaces Sandy Moffat, who now oversees sales and marketing efforts as Chief Market Officer. Nicholson comes to CNC Software with a wealth of experience within the CAD/CAM industry, having spent the last 18 years at MachineWorks as Director of Sales and Marketing. He has worked in international business development for more than 25 years. Based in England, he joins CNC Software as the European Territory Manager to continue the success that the company has had within that region. “I am excited to start a new challenge at CNC Software and look forward to working with the sales team and the European distributors to further grow an already strong territory,” said Nicholson.